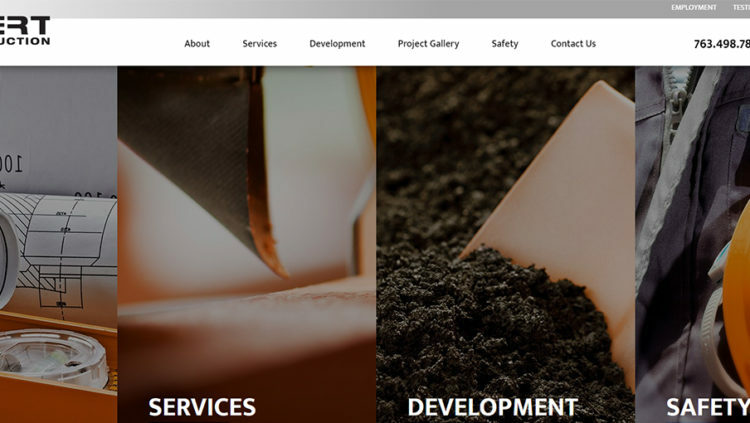 The entire team at Ebert Construction is excited to announce the launch of our brand-new website! We’re extremely proud of this informative, eye-catching, easy-to-navigate resource. We hope you’ll take some time to explore the new site and learn more about our history and the services and capabilities we offer. Since 1968, when company founder Jack Ebert built his first pole barn, family-owned and operated Ebert Construction has provided exceptional commercial construction and real estate development services to clients across the Twin Cities metro area and greater Minnesota. The family tradition continued when both Jack’s son Greg and his grandson Markus joined the team, but here, you don’t need to have the last name Ebert to feel like family. We take pride in our work so that you can, too. See for yourself in our photo galleries. View recent projects in the retail and self-storage industries as well as for municipalities, education, and churches in cities across Minnesota. Learn about job opportunities with the Ebert Construction team at our Employment page. Be sure to check in with the blog often for news and information. We’ll share in-depth features about our services and projects as well as how we’re supporting our communities. Subscribe to our blog via email or RSS feed and never miss an update. We love to hear from our clients. Let us know what you think about our new website or get in touch with questions about any of our services. Contact us today!